CRIDF works with a range of stakeholders from regional River Basin Organisations (RBO) to government departments and private sector companies. 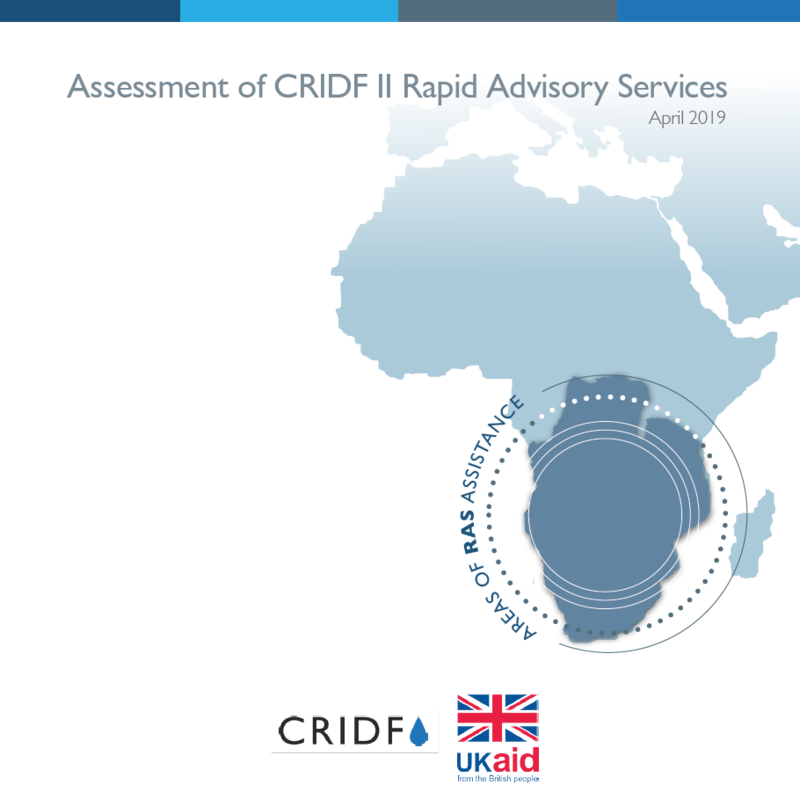 CRIDF’s Rapid Advisory Service (RAS) provides fast-tracked advice to CRIDF stakeholders in the fields of water, climate and water-related infrastructure. Limited to support that requires no more than one month’s inputs. The document below provides an assessment of the first twenty RAS interventions.